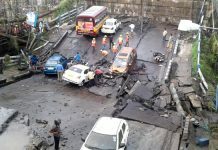 A view of Parama Flyover's AJC Bose Flyover connector that has been thrown open. 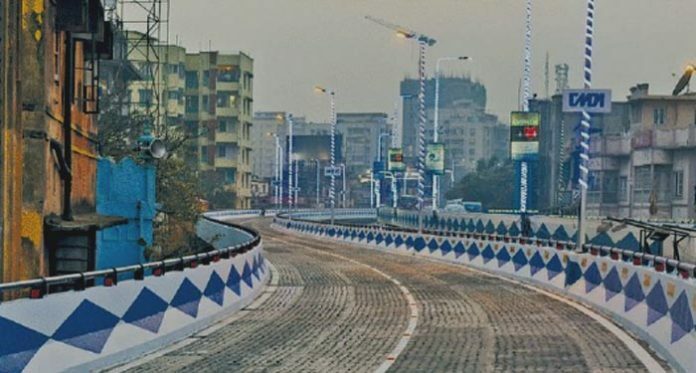 Kolkata: Commuting from Salt Lake to Racecourse (Victoria Memorial area) and vice versa will now be easier as a new flank of the Parama Flyover that connects it to AJC Bose Road Flyover has been thrown open to traffic from today. Chief Minister Mamata Banerjee inaugurated the 1.1-km long new flank this evening. 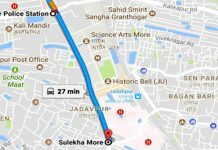 It runs over Congress Exhibition Road, Nasiruddin Road and Circus Avenue before merging with AJC Bose Road Flyover in central Kolkata. Parama Flyover, 4.2-km long, was thrown open in October 2015. 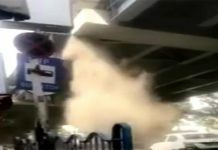 AJC Bose Road Flyover that runs from Racecourse to Circus Avenue was inaugurated in 2003. With the opening of the AJC Bose Flyover connector of Parama Flyover, people living in the eastern parts of Kolkata, such as EM Bypass, Salt Lake and, New Town will now be able drive straight to the heart of the city without getting trapped in the traffic snarls at Park Circus X-ing. A map of Parama Flyover. On extreme left is the flank that has connected it to AJC Bose Flyover. They will also be able to travel to Howrah faster by accessing the Second Hooghly Bridge from near Racecourse. Likewise, those travelling from Howrah will be able to reach eastern Kolkata faster and hassle free.